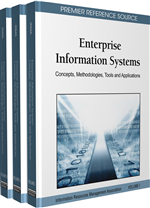 The chapter develops generic strategies for the specification and implementation of an enterprise resource planning (ERP) system in a multinational company. After the presentation of a framework for categorizing companies by their global business orientation, ERP strategies corresponding to each category are derived. Subsequently, various implementation strategies are developed for each type of ERP strategy; they provide decision makers with a high degree of freedom in specifying an implementation strategy in accordance with a company’s strategic goals. The results are summarized in a phase model; the overall approach is illustrated by two polar cases.